This collection of practice material for the International English Language Testing system (IELTS) has been specially prepared for publication by the University of Cambridge Local Examinations Syndicate. It provides students with an excellent opportunity to familiarise themselves with IELTS and to practise examination techniques using authentic test material. 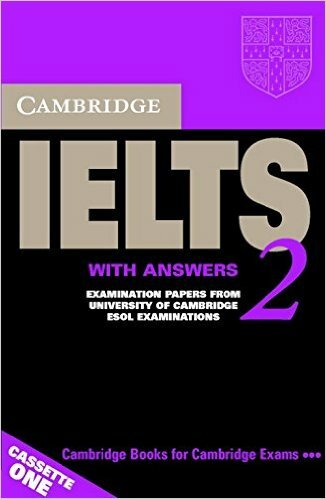 Cambridge IELTS 2 contains four complete tests for Academic candidates, plus extra Reading and Writing modules for General Training candidates. The book includes an introduction to these different modules together with an explanation of the scoring system used by Cambridge ESOL The inclusion of a comprehensive section of answers and tapescripts means that the material is ideal for students working partly or entirely on their own. The Audio CDs contain material for the listening paper in the same timed format as the exam. 0 Comment "Cambridge Practice Tests for IELTS 2"